Hello hello, I'm back again to blog about the food trail organized by Tampines 1. So for the second station, it was also a restaurant by Ministry Of Food (MOF), called MOF @ My Izakaya which Amasoy is also at the entrance of the restaurant. To be honest, this is one of the better japanese restaurants that I prefer because they offer quality and fresh japanese food despite it's a little bit pricey but it's still worth for the price you pay. 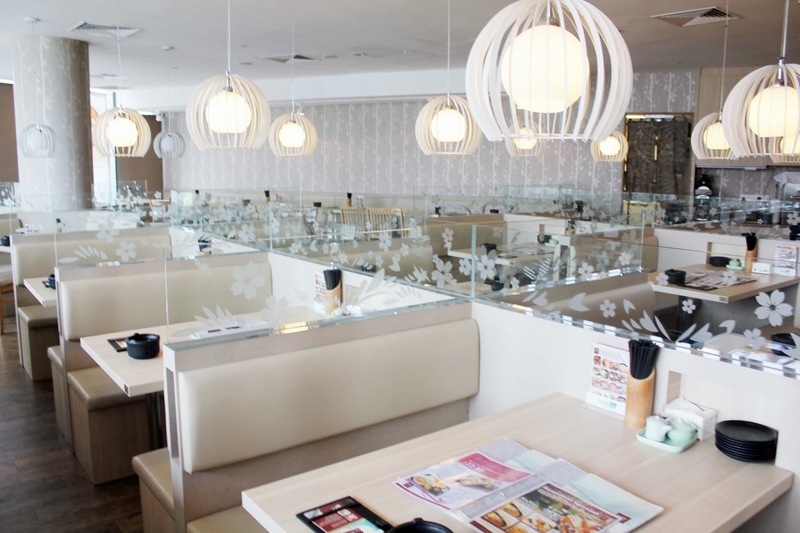 The restaurant is able to cater to more than 40 customers (estimated). 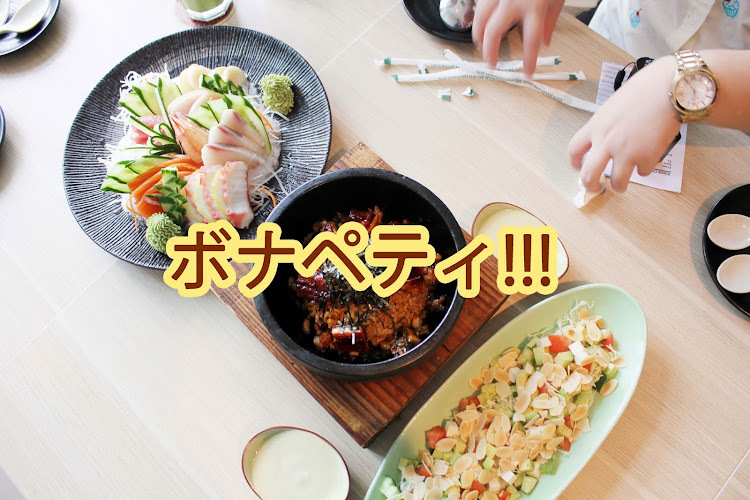 Like wise, Tampines is always crowded in the evening, dining at MOF @ My Izakaya could be a better choice to have your lunch/dinner. I love the ambience of the restaurant because the fixtures and arrangements fits the theme of the restaurant. What's a meal without a small an appetizer? I can't express my love for avocado because they are so irresistible yet delicious (igoring the fact that avodaco will make you fat)! I always avoid salad the most because I don't really like greeny things even IF I do, i'll only take a few bites. The salad consists of Tofu, Avocado, Tomato, Cucumber and Sliced Cabbage in homemade Wasabi Mayo Dressing. 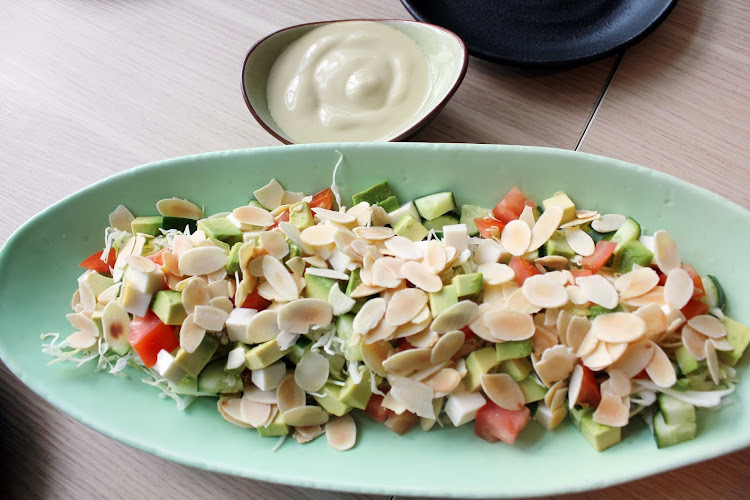 I have to praise the wasabi mayo because and it's makes the entire dish looks good and flavoursome (Doesen't it looks tempting to you?) . Overall, the salad tasted delicious!! The portion is able to be shared by more than 3 persons. Not bad for a starter meal! 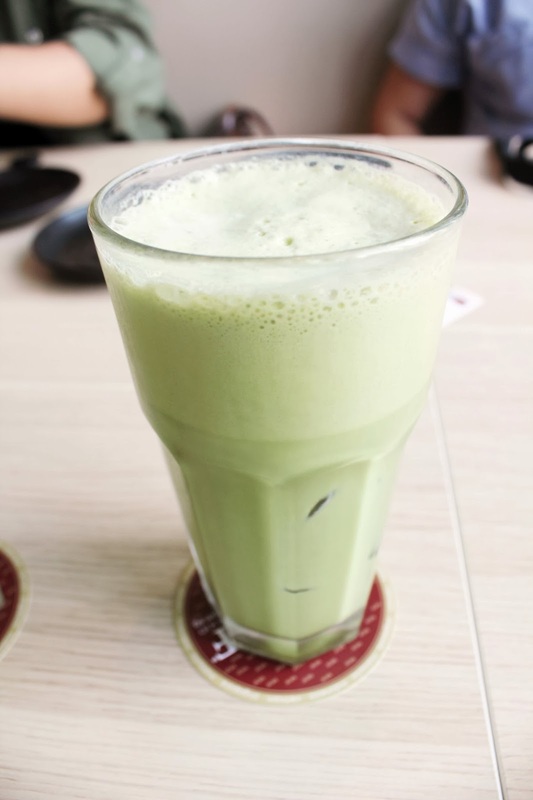 Next up we were served the Premium Matcha powder blended with softserve and milk. This is a drink that you don't usually see outside because, you only can find this at Japanese Restaurants (excluding Starbucks). 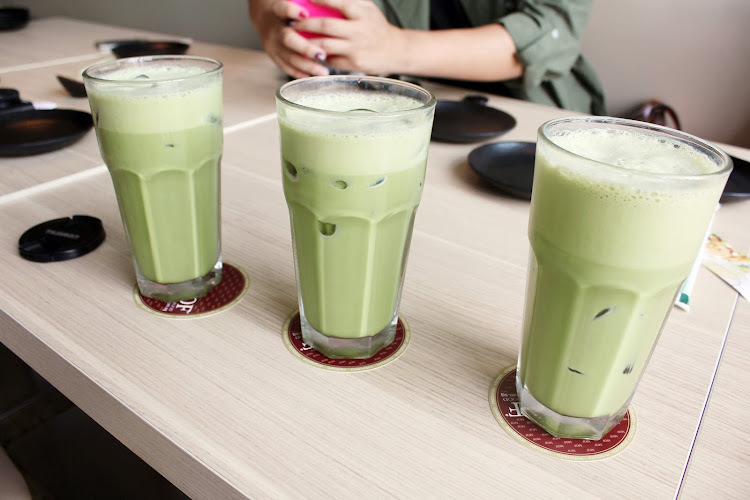 I don't really like green tea actually (maybe it's the difference between added milk and not), but this changed my view for it because the drink was full of it's flavour and it does not really have the powderish taste. There were no chunks extra powder (undissolved powder if you get what I meant) clumping at the bottom of the drink so it was really good! 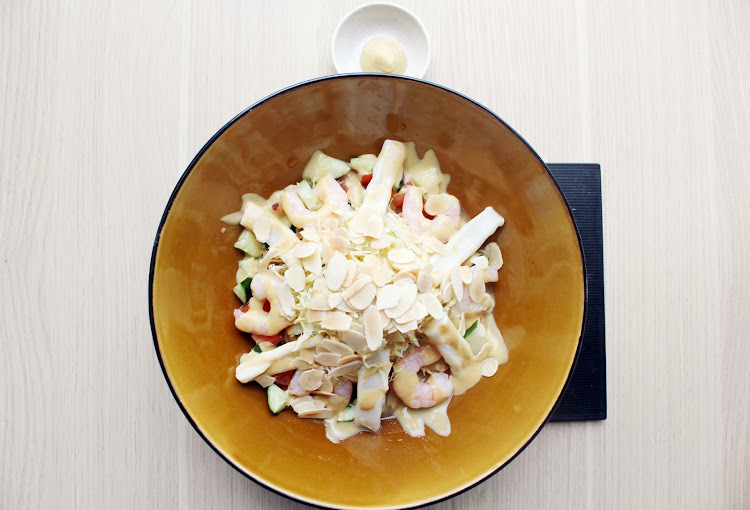 Looking at this you probably just want to eat this entire dish by yourself right! 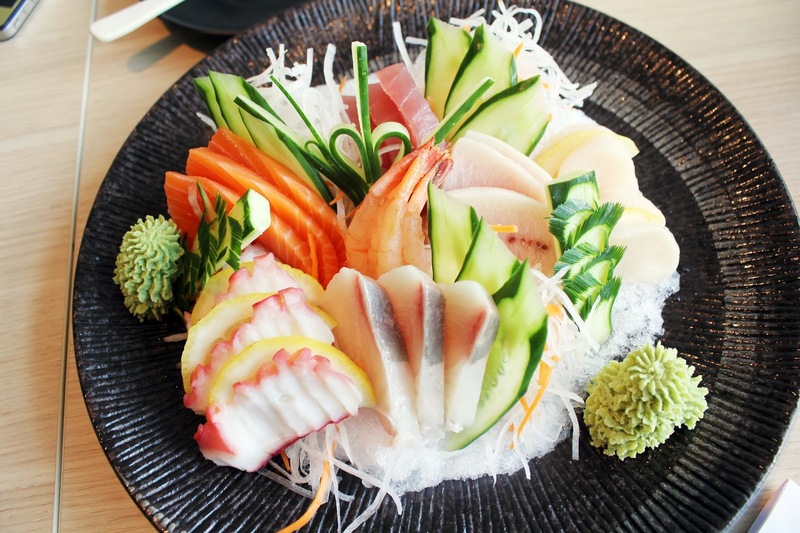 The mouth-watering Sashimi Moriawase can be able to shared among 2-3 people. But if it's for me, I can actually finish it by myself la. 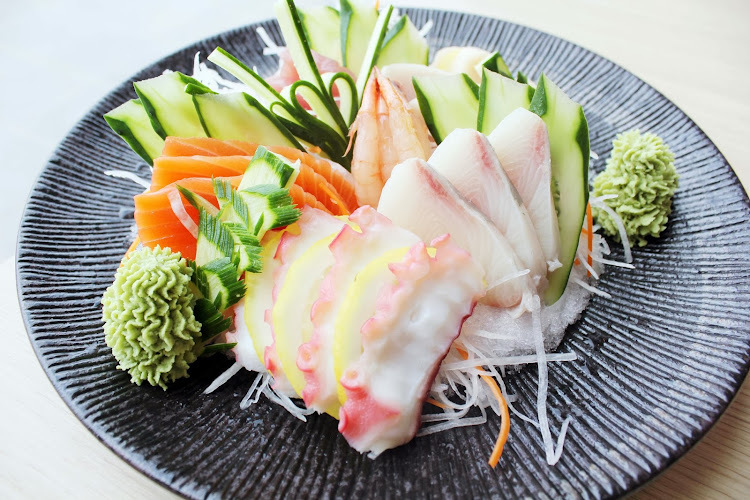 It consist of mixed slices of sashimi of a choice you can select. Overall, it tasted delectable and I would suggest you to order 2 portions if you feel that you didn't had enough of it. My favourite was the salmon and the shrimp which was extremely tender and delicious. The large thick slices made me crave for more! The next time I'm coming back to this restaurant, I would definitely order this! Thus, this is a dish that you wouldn't want to miss out! Yums! It's also definitely value for money. 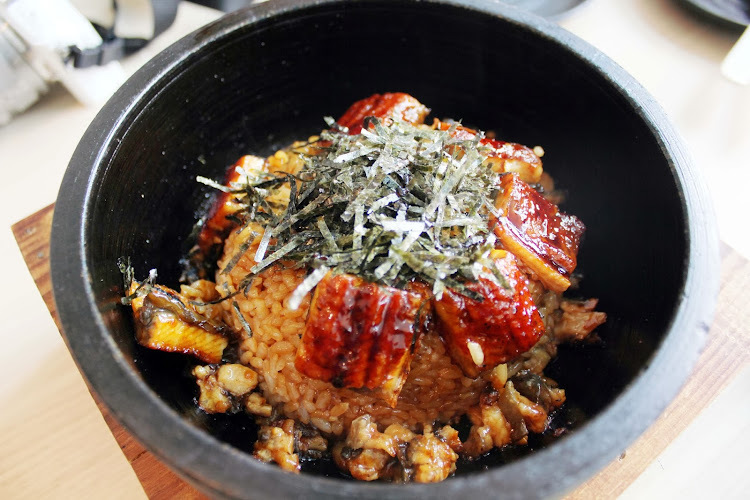 Now we're going into the main dishes, this is the Unagi Hotstone Rice, Grilled Eel in Hotstone (Clay-pot) Rice served with MOF Sauce. Just a side note, that it was a little bit salty (maybe it was the sauce) for me and the bottom the rice was a little over-cooked (chao-ta) stuck to the hotpot so I suggest you to mix the rice once it's served to you to avoid the rice being over-cooked. The eel was soft and yummy and can be compared to what I have had at other restaurants, but this could be one of the better ones! overall, the amount served was decent! 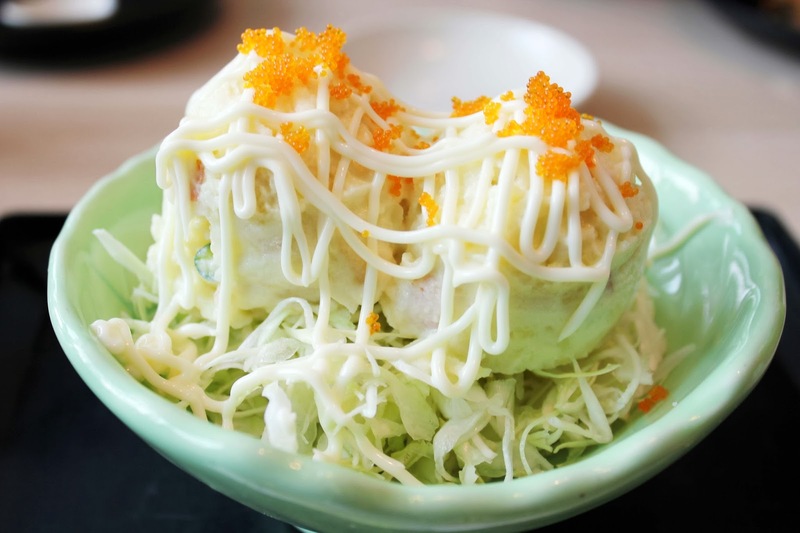 The potato salad wasn't included in the menu for food tasting but I ordered it specially cause every time when I visit a Japanese restaurant, I must order this as a small dish for me! Surprisingly, it was very delicous and fresh cause it's not the usual potato salad with only mayo and cucumber only but they also added apple inside to enhance the taste. The apple inside wasn't expected but it blended really well. It was indeed very tasty! Hehehe! This is the sushi roll that I will highly recommend you if you come with a large group or with your family. 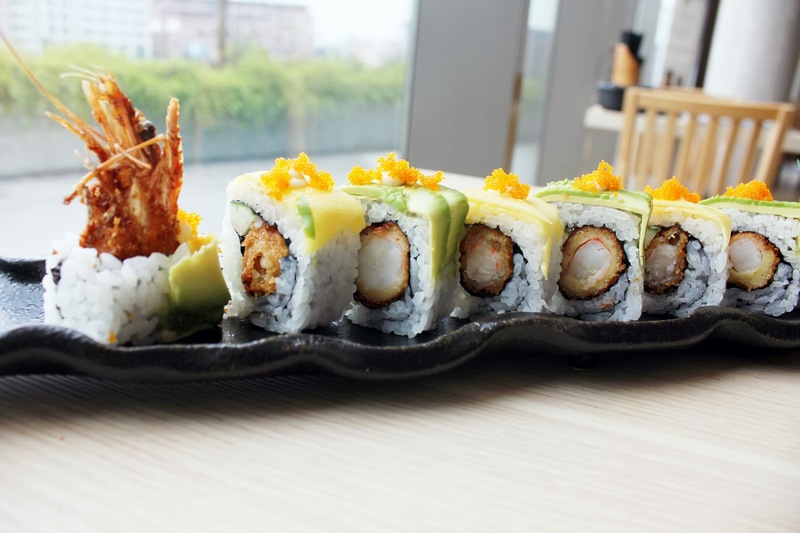 This dish is probably one of the popular sushi rolls ordered in the restaurant. 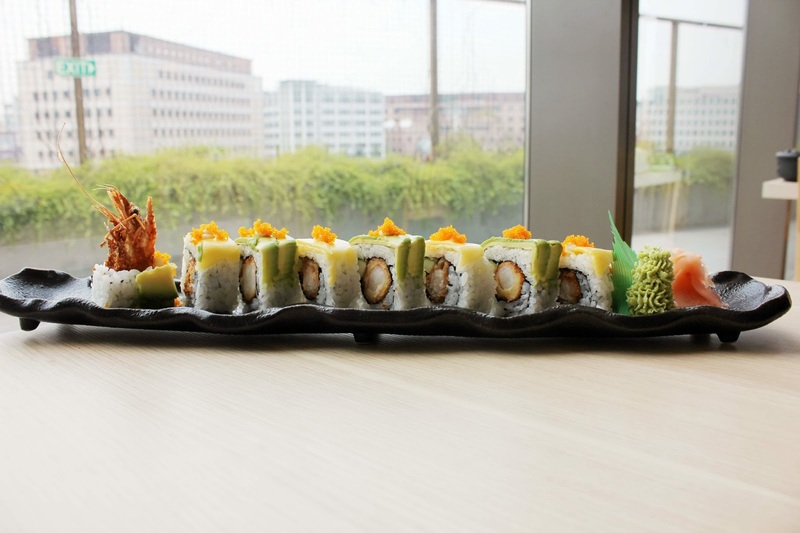 It is 8 slices of sushi with mango & avocado on top of it. Inside the fillings was fried crab meat which was extremely delicious! That once you put it into your mouth, you will start to crave for more. The taste was enjoyabl. It tasted fresh, the crispiness of the crabmeat inside was excellent! This is what I call quality food. Major plus points for the dressing of the dish (it really looks like a dragon lol)!! Oh god, this dessert was heavenly delicious and most of the bloggers enjoyed the dessert! 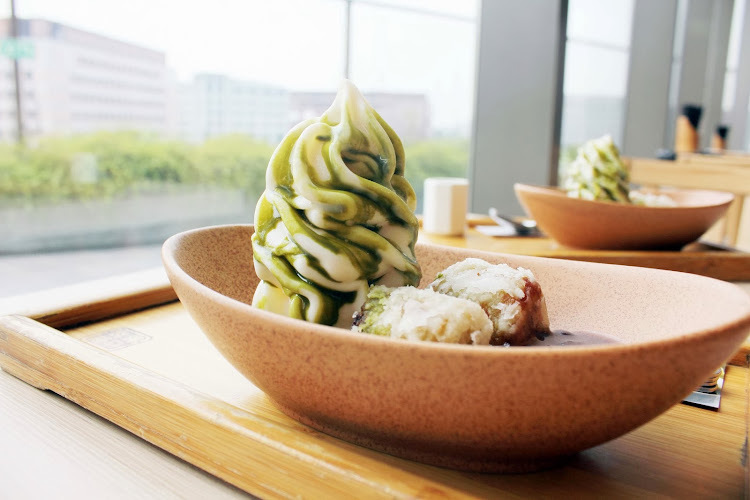 The soft serve with green tea sauce, red bean paste and Japanese Sweet Potato really appealed to my likings and I love how soft the ice cream is, the sweet potato was the key item that made me really like the dessert! Overall, it was energizing and definitely a toothsome dish! Plus points for the sugary red bean paste! Yums! What's something better to complete your meal? 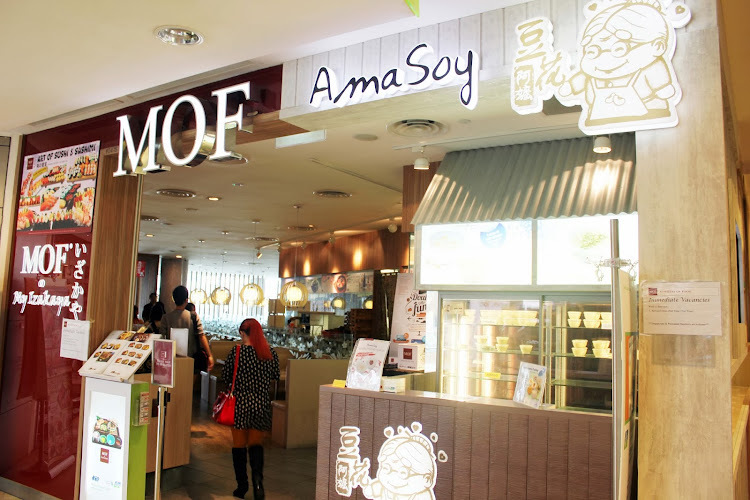 You can also get Ama Soy Japanese Pudding at MOF @ My Izakaya too! They are Japanese Soy Puddings are made fresh daily, along with added Collagen & Omega3 (DHA). Love it because it's low in fat content and no cholesterol. Packed with natural and nutritious trans fat free! Yums! 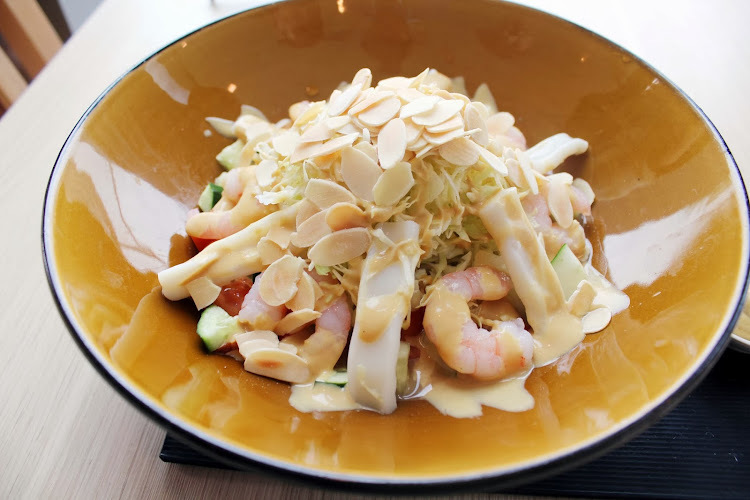 Remember to read my blog for Part 3 of the Tampines 1 Food Trail.